Dragon Armor is pleased to present you with this 70-ton self-propelled gun in 1/72 scale. 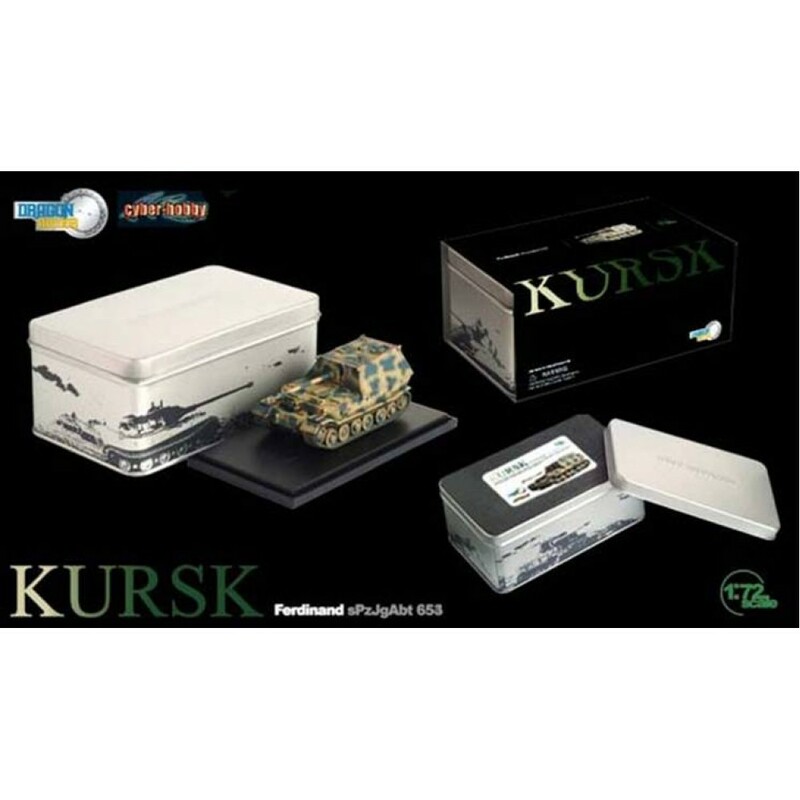 The ready made diecast model features of of the Ferdinand of sPzJgAbt 654 which saw action in Kursk in 1943 and has authentic camouflage and painting.This model is the special edition from Cyber-Hobby and Dragon and is packaged in a special display tin with a Battle of Kursk commemorative outer sleeve. The Ferdinand was assigned to sPzJgAbt 653 and 654 in preperation for the Kursk Offensive in July 1943. 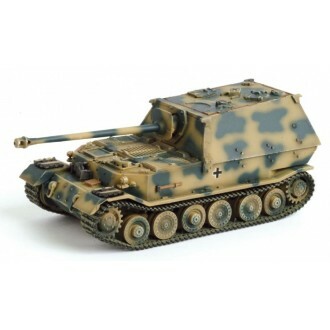 On the first few days of action the Ferdinand turned out to be a disaster due to the lack of proper support and, most importantly, lack of a self defensive weapon. However, the Ferdinand still proved to be very effective when deployed behind enemy lines during the Kursk Offensive until November or 1943. Please note that although this model is new it was made in 2004. The outer sleeve is showing some signs of shelf wear and the tin has a few very small rust spots in places. The model inside is in mint condition.